Recalling events that happened on this day in history. Memories of struggle, resistance and persistence. 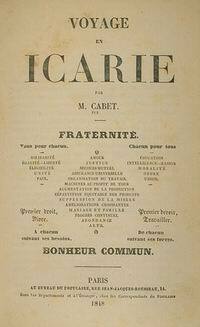 About 1500 Icarians, members of a French Utopian movement founded by Etienne Cabet, land in New Orleans intending to start a communal settlement in the United States. They establish several settlements, but the communities, beset by financial struggles and internal disagreements, fail to thrive. The last Icarian settlement is dissolved in 1898. Beginning of the Fraser River railway strikes in British Columbia. Railway workers who have organized themselves as members of the Industrial Workers of the World (IWW) walk out of construction camps to protest terrible working conditions. By April 2, 8,000 workers are on strike and work has ceased on 640 km of construction line; workers on the Grand Truck Pacific line then also join the strike. The main demands are strict enforcement of the Provincial Health Act, a 9-hour work day, and a minimum wage of $3 per day. 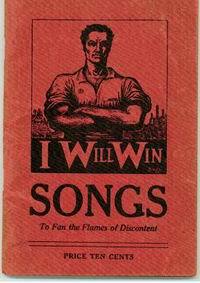 The IWW sets up camps to feed the strikers and organizes pickets at employment offices in Vancouver and other cities to prevent strikebreakers from being hired. The government sets out to break the strike with violence and arrests, and largely succeeds, though the workers win some concessions, as well as a knowledge that it is possible to organize to defend their rights.